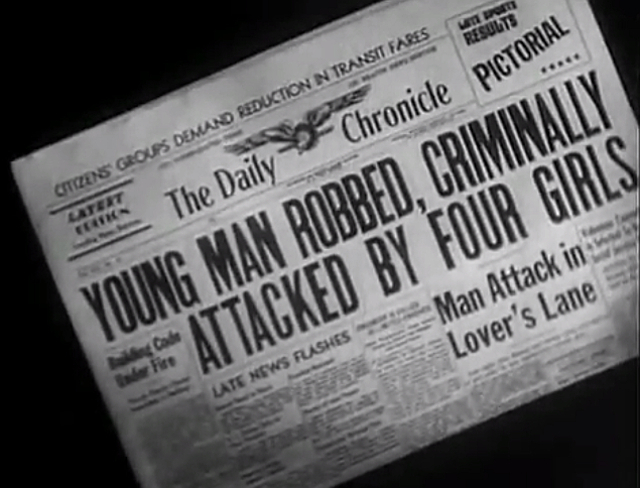 Newspaper-headline exposition is an essential part of visual story telling. But what do you do with the rest of the front page? Never fear, the props department has a kit for mocking up a newspaper, with dummy headlines like "Court Seeks Adjournment", "New Petitions Against Tax,"and my favorite, "Building Code Under Fire". 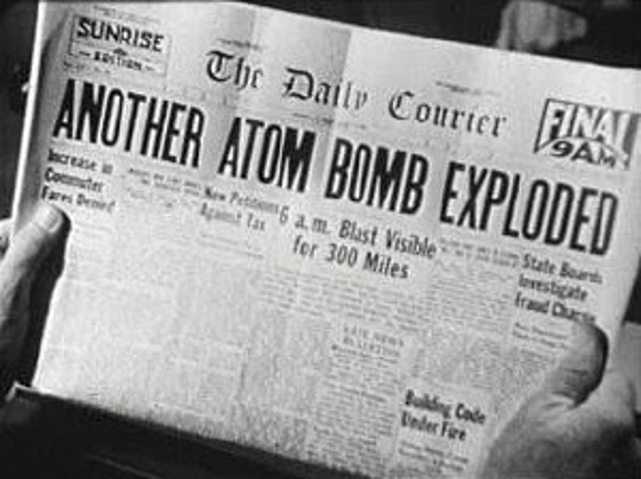 BCUF found its way onto lots of movie and TV front-pages; here is a modest collection. M-Squad, "Badge For a Coward" (1960). Lee Marvin and Ruta Lee. Also featuring "Court Seeks Adjournment". Perry Mason, "The Case of the Crimson Kiss" (1957). Mason spilled a lot of newsprint to advance his narrative. The building code was a frequent punching bag. Perry Mason, "TCOT Green-Eyed Sister" (1958). In other news, court still seeking adjournment. 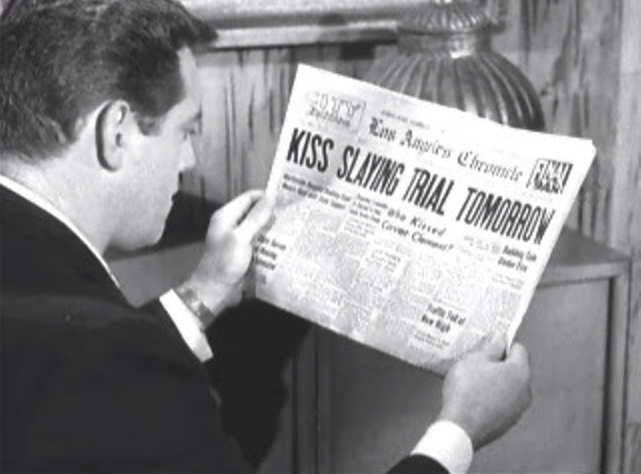 Perry Mason, "TCOT Lazy Lover" (1958). Nice bracelet. Is that the mental patient? Is the paper instructing us to hunt them? Is their name "Hunt"? More questions than answers. Perry Mason, "TCOT Provocative Protege" (1960). 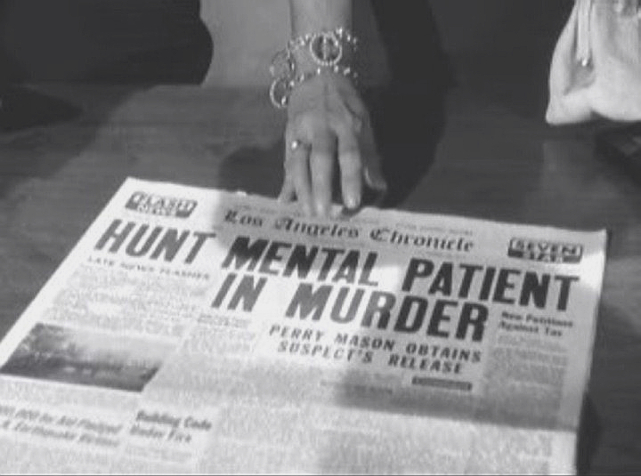 Perry Mason, "TCOT Screaming Woman" (1960). Perry Mason, "TCOT Sunbather''s Diary" (1958). This one has all three of them. The Violent Years (1956). Written by Ed D. Wood-- now we're officially in stock-footage territory. 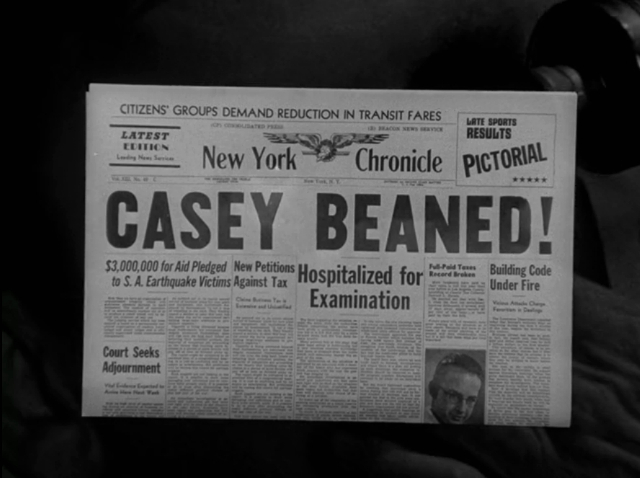 The Twilight Zone, "The Mighty Casey" (1960). 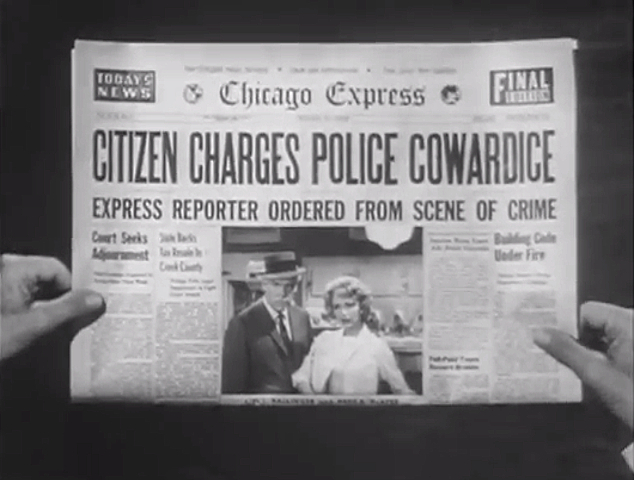 Not sure if the citizens groups demanding reductions in transit fares were the ones in Ed Wood's town. 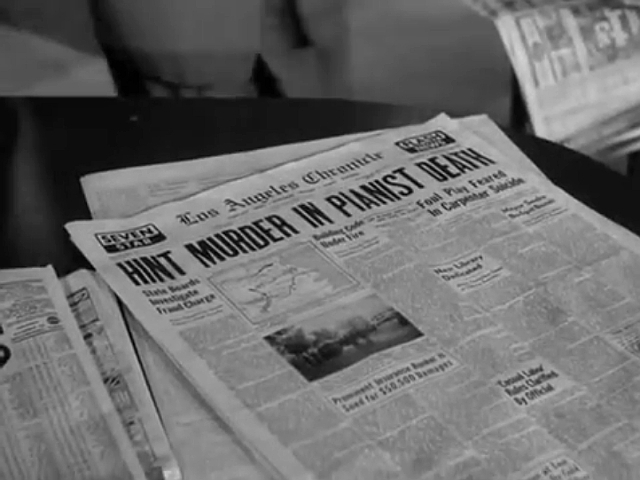 Twilight Zone, "Printer's Devil" (1963). 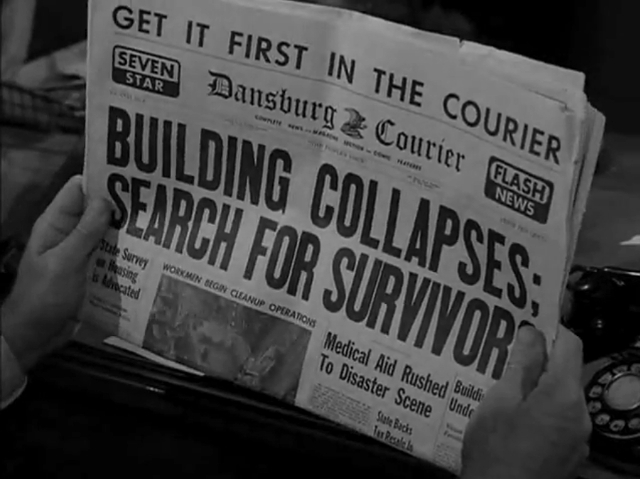 Say what you want about Burgess Meredith's stogie-chewing Satan, he did keep us informed about the building code. The Twilight Zone, "To Serve Man" (1962). 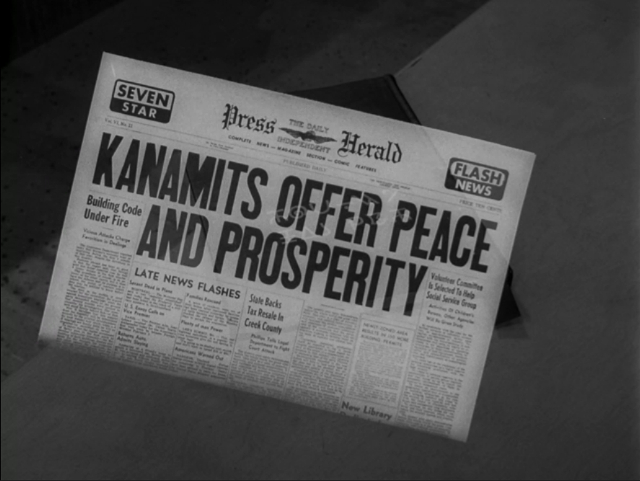 Well, maybe the Kanamits can finally solve the building code problem. More power to 'em.